This stunning 3 bedroom 2.5 bathroom townhome in Baldwin Park with just under 1,700 sq. ft. has been updated and meticulously maintained by the owner. 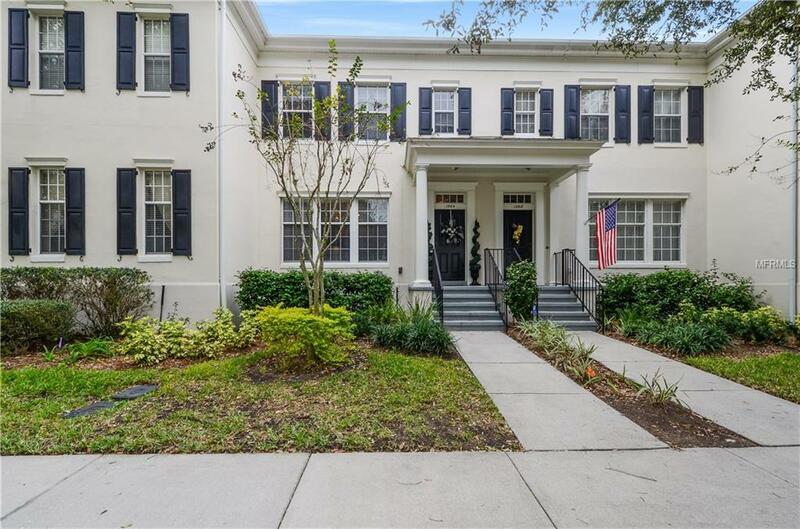 Walking distance to everything Baldwin Park has to offer including restaurants, shopping, Publix and more! Exotic wood floors set the tone from the second you walk in the front door and run throughout the main living areas downstairs. The incredible Z Gallery chandelier is the anchor of the dining room which is large enough to entertain at least 6 guests comfortably and is just around the corner from the kitchen and family room. Kitchen is equipped with stainless steel appliances, granite countertops and modern backsplash and overlooks the large family room. There is a conveniently located half bathroom downstairs for guests while you are entertaining. Enjoy the private and oversized backyard that showcases pavers and ample space to entertain guests. All bedrooms are located upstairs and are generous in size. Master bedroom features an en suite bathroom and large walk in closet. Secondary bedrooms are down the hall and share a great sized guest bathroom. All you need to do is bring your clothes and furniture and move right in! Schedule your showing today.